do Colorado. From snowboarding to rock climbing, Colorado is an adrenaline junkie’s paradise. However, Colorado also has something to offer those who are a little less adventurous. One activity that is great for those who are looking for a rush, as well as those who are looking for a low-key adventure is atving. Colorado is full of amazing ATV and jeep trails, but here are few of the top rated trails, according to colorado.com. Located near Telluride, Colorado, at above 10,000 feet, this pass offers adventurers stunning views of the San Juan Mountains. It passes through the Uncompahgre National Forest. This is not a very technical trail so it is suitable for all types of vehicles and ATV’s. These trails are located near Grand Junction, Colorado and despite their name, they are anything but flat. These trails are full of beautiful scenery, as well as forests, lakes, and meadows. This is an extensive trail system that offers trails for all skill levels. These trails are located in Northern Colorado, just west of Fort Collins in Roosevelt National Forest. This trail system offers more than 100 miles of ATV trails. It also includes trails that are suitable for beginners, as well as advanced riders. These are only a few of the many gorgeous ATV trails located in Colorado. If you are interested in the other trails on this list, feel free to visit colorado.com. If you are looking for a new kind of adventure, consider taking the road less traveled. 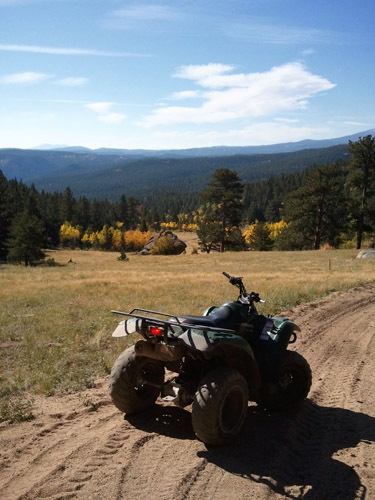 With so many options for ATV rentals available in Colorado, as well as incredible views, you are sure to find a new and exciting adventure.